Boasting excellence in all facets, she is attractive, has top grades, and is quite athletic. She is, however, known to those around her for being whimsical and selfish. She hates being tied down, so skipping class and going home early is simply routine for her. Although most matters are uninteresting to her, she’ll relentlessly seize anything that takes her fancy. She’s a troublemaker and sets her own terms. 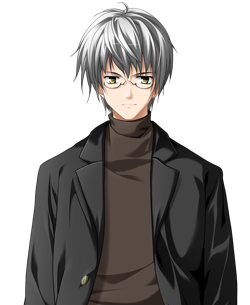 Hiro is a full-time student, but moonlights as Nagi Shindou, a professional shoujo manga artist. He is the youngest sibling in a family where his father and sister are both renowned traditional artists. At his core he’s diligent and softhearted, but his outer personality shows otherwise. He communicates bluntly and has difficulty speaking his mind. He can also be indecisive. 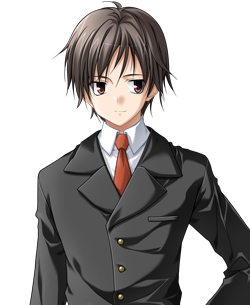 He is influenced by his sister, the Shindou twins (particularly the older one), and countless others, and has poor luck with women in general. The elder of a set of identical twins. Very athletic. 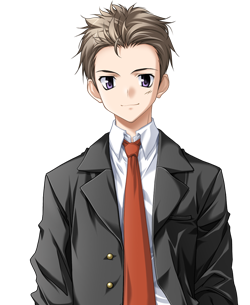 A first-year student, Kei is already a starter for the basketball team. She’s determined to win, knows no fear, and is a sadist. 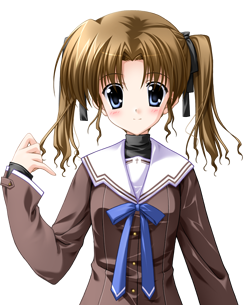 Due to the influence of Hiro Hirono, her ”Oniichan” and friend since they were little, she’s developed a sharp tongue and talks like a man when she gets worked up. Proud and somewhat reckless, she gets embarrassed whenever she messes up. She is also not adept in romantic affairs, and has a tendency to believe in fortunes. A cameraman in the film club. Aloof, and perhaps nimble in nature. Particularly so when it comes to women. He has a keen sense of observation, possibly stemming from his diplomatic role with the club. He is devoted and meticulous regarding his surroundings, and has been involved in many relationships. However, he is selfish when it comes to filming, and at times can be stubborn, turning the sorrow of others into material. At present, he has a keen interest in the love triangle involving his close friend Hiro Hirono. An energetic girl belonging to the basketball team of Otowa Collegiate’s feeder school. Formerly Kei Shindou’s junior, she is still quite a devoted fan. 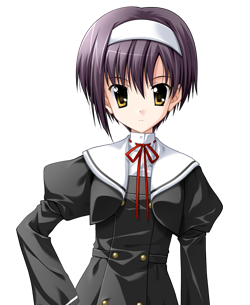 Mizuki has quite a few connections at Otowa Collegiate due to her relationship with Kei. Frank and spirited. Direct and rash. Charmed by too many things, and not wary of nearly enough, she’s a bit like a puppy. Admires her ”Kei-sempai” and aspires to be a ”cool woman”, though it’s obvious from her upbringing that it’s impossible. A woman waiting for someone at the church. 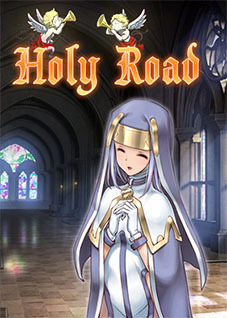 She could pass as a nun, but doesn’t seem to be affiliated with the church. Her origins are unknown, but claims she has some sort of job to perform. 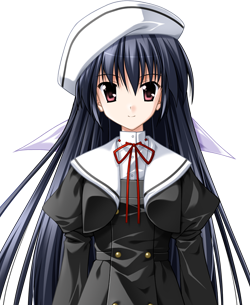 Roaming Otowa’s streets, she suddenly presents herself to those who interest her, leaving deep guidance and counsel in a jovial manner. A man often seen about the church. He could pass as a science teacher, but would be considered too frightening for the job. His origins are unknown, but claims he has some sort of job to perform. Roaming Otowa’s streets, he suddenly presents himself to those who interest him, leaving deep guidance and counsel in a crusty manner. Truth be told I enjoyed the second chapter more but only due to the groundwork laid in this one. Buy both and prepare for an emotional ride so well written that it will stick with you long after you're done. 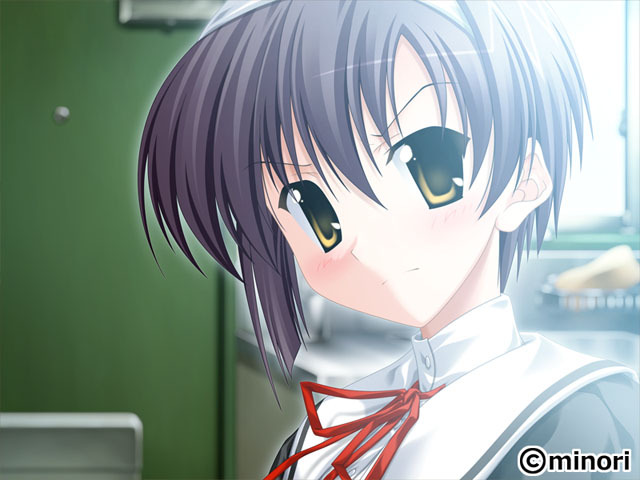 I'd break down each aspect of the VN ie soundtrack, storyline, and characters but everything by Minori is always well thought out and feels like it has heart. If it sounds like I'm a fan then yeah, I guess I am. 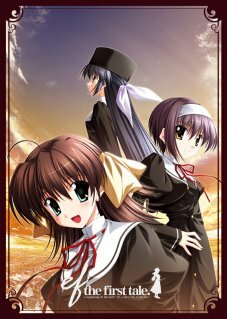 I haven't found an aspect of any of their VN's that wasn't 5 stars in my book. Hence the title. What a beautiful game. you must buy this if you have not already. perfectly fitting music and fantastic artwork with a phenomenal story. cant recommend enough. make sure you also acquire ef the latter tale as well. "ef The First Tale" is a part one of a two part entity, "ef: A Fairy Tale of the Two", with "ef: The Later Tale" being the second part of the story. As a stand alone, "ef: The First Tale" is a solid story, transformed into a magical experience via Minori production techniques. 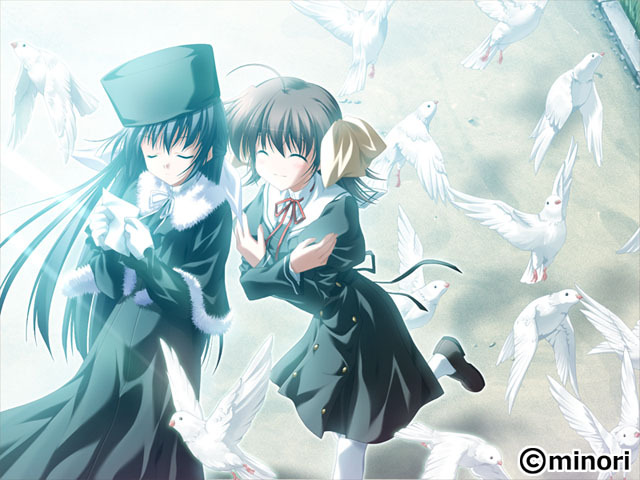 In combination with "ef: The Later Tale", the entirety becomes a dear, an enchanting, a haunting experience that will stay with you long after finishing the last lines. The quality production that surrounds the well scripted story is multi faceted, with the gorgeous graphics ever present for ones eyes to feast upon. The art is of very high quality, with further enhancement by tricks typically reserved for cinematography. The lighting techniques used in the high quality art of the ef tales add to the stunning and captivating CG's in a way that can most easily be described as mesmerizing. Panning, focus and off character framing combine to create unique and dramatic effects that only enhance and deepen the experience.All of these efforts support and create a rich environment for the characters and their stories to take place. The characters, while so very unique, still seem to be of a "familiar" style; familiar in a sense that they have almost a commonness about them, neither alienating nor over exciting, almost in spite of the artistry used to create them. The characters are then presented as the unique, endearing and flawed individuals that they are, individuals that you ever increasingly wish to know and grow to love. 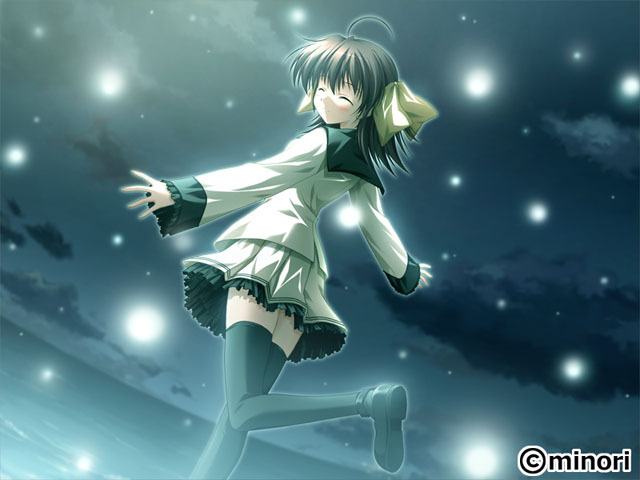 As with the backgrounds, unique effects added to the character sprites combine to create some wonderful effect. Facial expressions, eye movements, poses, and other unique techniques which combine to make the characters almost animated. These techniques combine to create characters that feel far more real than others, and when viewed within context of the story, ones' affection for the characters of "ef" surely grows strong and runs deep. The musical score of "ef" does nothing but enhance the story, providing emotional backdrops to the story of the characters involved and the supporting and enriching the presentation of the world in which they dwell. The musical score succeeds in its use as both a backdrop and as a piece of the productions foundation. Playback of the various musical pieces from the extras gallery soon invokes memories of the story, of the characters and of the emotions felt at the time. 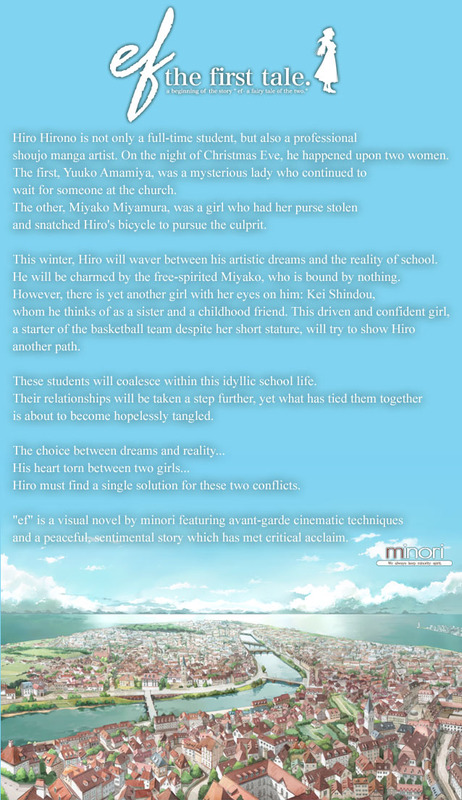 Within "ef: The First Tale" we are presented with a prologue involving Yuu and Yuuko, then are moved into the world of Hiro, Kei, Miyako, Kyouske and Mizuki. Within this world, the story explores issues of youth, of love, of relationships, of self discovery, of gain and loss, issues of life. Within the drama of the story, the experiences, interactions and lives of the characters, slowly but surely, the underlying themes begin to manifest. The themes of the human will and of connection which the story strives to present, progressively become more and more apparent, and in the end, whether for good of for bad, are fully and satisfyingly present. 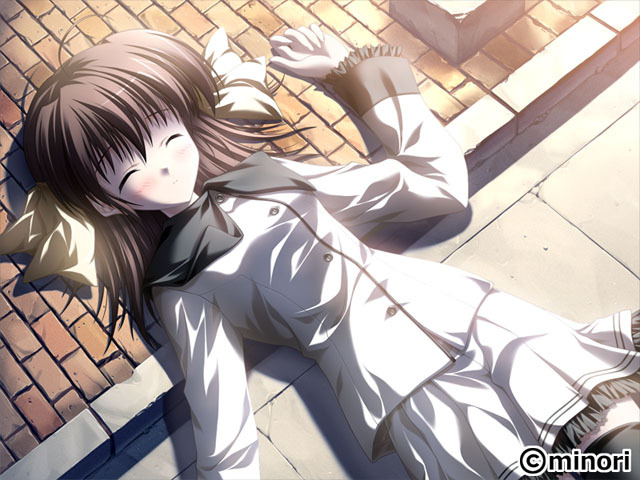 I find "ef: The First Tale" to be a most satisfying experience on it's own. I will say, however, that if taken as a stand alone, one may be left confused by the prologue, though the rest of the story pulls it together well enough to allow that flaw to slide. As a stand alone, "ef: The First Tale" is a beautiful, mesmerizing work that will satisfy and entertain. In conjunction with "ef: The Later Tale", the set becomes a masterpiece. "ef; The Fairy Tale of the Two" is a work which mesmerized me, charmed me, enraptured and devastated me. I hold dear my memories of this story and recommend it to all. This is the first tale of one of the best stories available on the market. The way this story starts is beautiful and very captivating. 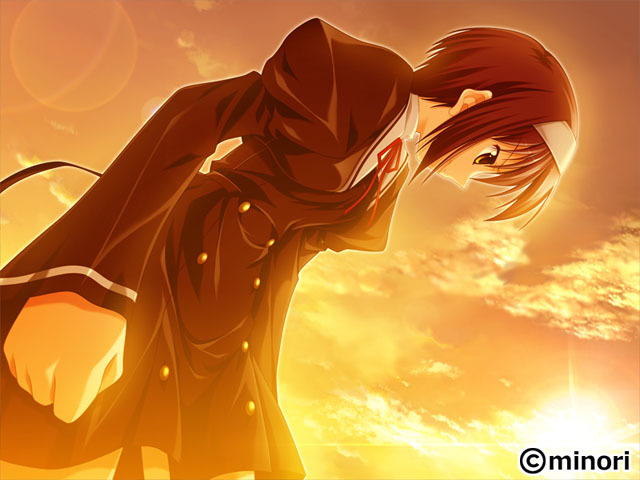 The different use of many CGs instead of sprites just by itself gives a completely different impression from your normal VN. Another difference is the mouth movement when a character speaks along with their eyes blinking after a certain time. 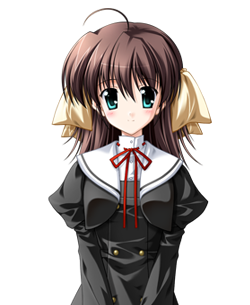 To add even more, on some occasions, although the VN uses a 4:3 resolution, it'll seem like you're using a 16:9. You’ll get a cinematic feeling while reading these scenes. The soundtrack is just amazing. 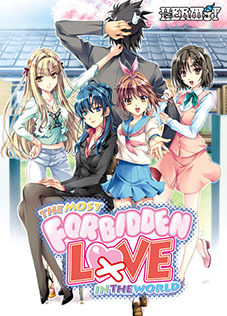 It's hard to find an officially localized VN with such great tracks. If you mix the soundtrack along with all effects I mentioned above you can guess how great the experience will be. Don't be surprised if sometimes you find yourself just looking at the screen to observe the beauty of the scene you’re reading. About the story, a downside is that the pace is a bit fast. However, the writing is usually very good so all the interactions and events you see integrate reasonably well. When it comes for its contents, you could say that ef – the first tale concentrates more into the high school setting but you’re sure to find much more than that. After all, this is the first tale of the fairy tale of the two. The deep feelings those two on the chapel share and the feelings of others that they guided are what made that encounter possible. Be sure to also read the conclusion of this tale on ef - the latter tale. 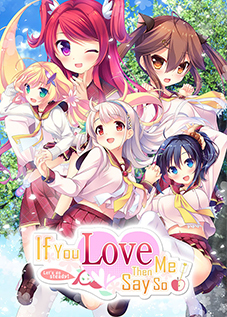 It's not often that I come across a Visual Novel that mesmerizes me to the point of having me just staring at my screen and wondering to myself, "How is it so beautiful?" ef - the first tale, sports a group of interesting characters that although have been done over and over, they somehow seem fresh in this tale of romance. 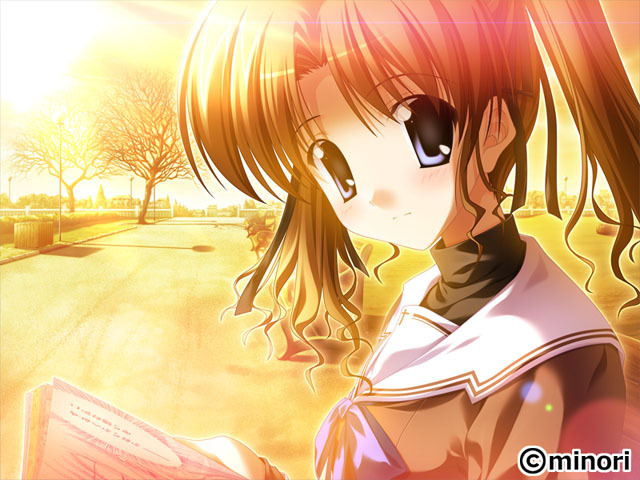 I believe the most unique thing about ef, is that most of the scenario background/images consists of just CGs instead of the usual character sprites and text boxes. 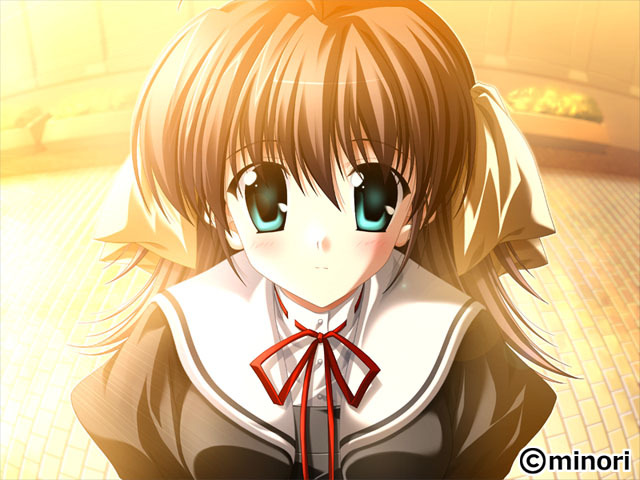 Though chapter 2 does sport more character sprites than chapter 1, they both are able to deliver an experience different from most visual novels. The soundtrack is beautiful and very memorable. 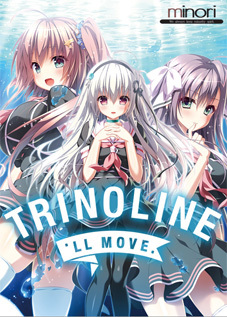 Several of the tracks really bring out a magical feel to the town and characters that isn't common in most visual novels of its genre that we've seen so far. I guess I could say that it makes a hot summer day feel like its actually winter when playing ef during summer season. All in all, it really is a tale of the two, alone in a chapel under the cool starlit night sky.